Advertise your business with WOCSS to spread the word about your company and meet the needs of seniors in the Washington, DC, area. At WOCSS, we are all about learning, collaboration, professionalism, community, networking, and most of all, service. Your business and serving the needs of seniors are important, so join our organization today to promote your business and improve the lives of local seniors. WOCSS (Women of Color Who Serve Seniors) is a network of professional women of color from diverse disciplines and specializations who are passionate about enhancing the lives of seniors in the Washington, DC, area. We are a service-oriented networking group that provides helpful referrals to individual business owners in order to help them establish and maintain their businesses. Our nonprofit organization is the brainchild of Kathy Everett-Gaines and Irene V. Jackson-Brown, PhD, CSA, CMC. Their vision was to create a network to communicate knowledge and resources to support women of color in their efforts to enhance the lives of seniors. 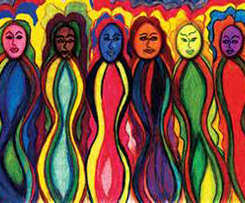 The first gathering of WOCSS was in the fall of 2011, which brought together 30 women of color from a full range of care services in both the medical and non-medical arenas. WOCSS joined the National Association of Professional Women (NAPW) in 2015, as well as the Prince George's Senior Provider Network in 2012. In 2015, we were recognized as an honorary business by Who's Who. Our mission is to provide quality service to those in need through learning, networking, and advocating. We will escalate your business.